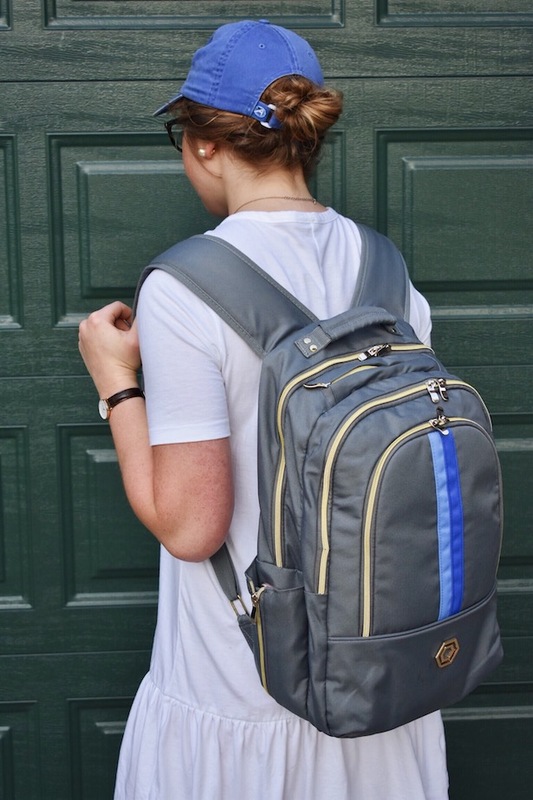 I get a lot of questions every year about what backpack I used, backpacks I have used, where to find a good backpack, etc. 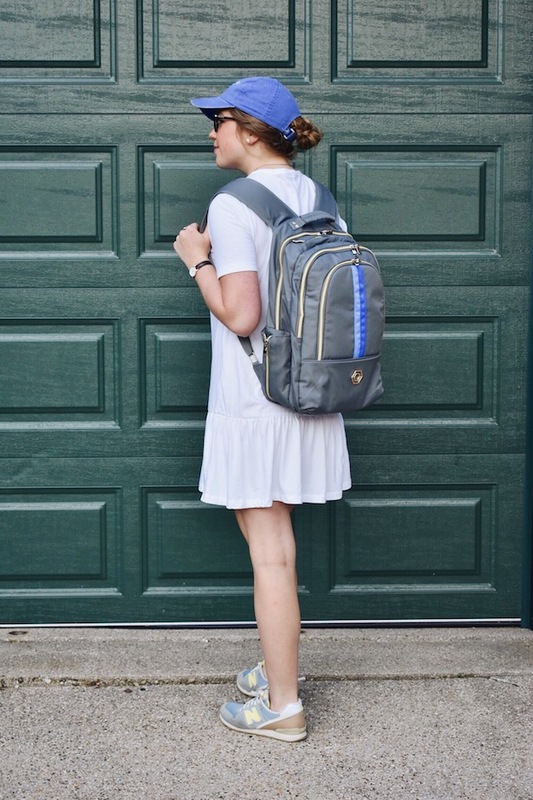 I think the biggest dilemma with girls in high school, college, and even middle school is trying to decide between using a backpack or a tote bag for carrying around books. 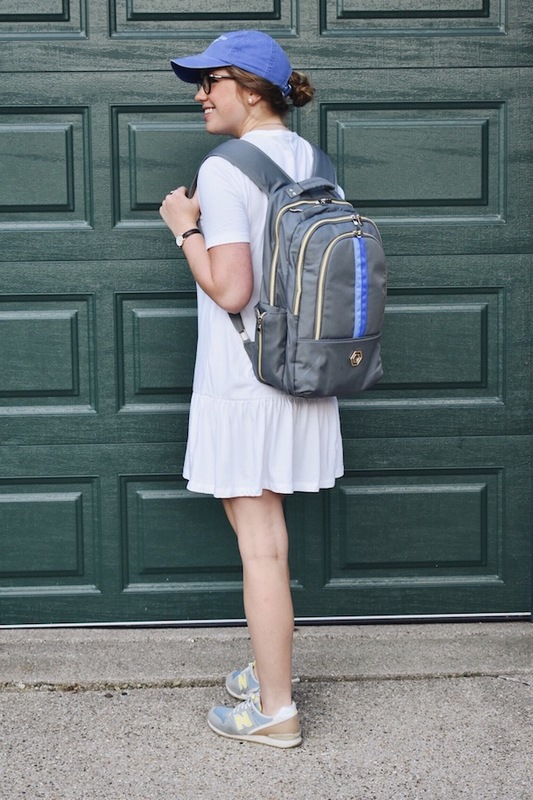 Let's be real: what we all want is the practicality of a backpack with the look of a tote bag... something that is functional but still looks cute. So, what about a backpack that is cute? Hard to imagine, right? 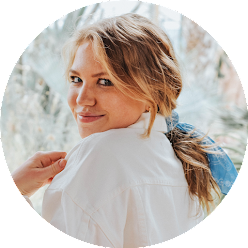 I thought so too until a few summers ago at the Smart Girls Group conference in New York when Madeline from Madeline & Company introduced her brand-new backpack company that resolved the aforementioned issue for girls of all ages: a backpack that is just as stylish as it is realistic and practical for everyday use! In middle school I used an LL Bean Boat & Tote, and last year I used my trusty Mark & Graham everyday leather tote, up until two months into school when I realized walking up the mountain that is Lehigh's campus with textbooks and a laptop really wasn't going to work. I decided to order a North Face backpack, and it got the job done... I like the water bottle holders on the side, the laptop sleeve, and just that it was far more comfortable than my leather tote on my back. However, it was small (an issue I know that a ton of people usually have with North Face backpacks) and it looked so average and generic, just like any other backpack out there. This year, Madeline was so sweet and sent me one of her new "slim style" backpacks. 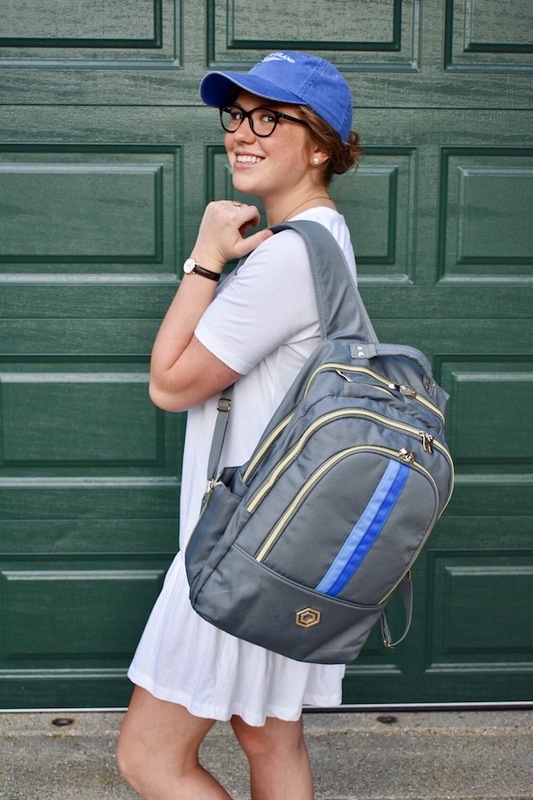 Let me tell you... this slim backpack fits so much more than you'd ever think! I decided to take the backpack with me as my carry-on instead of my leather tote when I went to New York, and I can't even tell you how much easier it made my traveling. Not only was it easier to slide under an airplane seat, but I could fit my laptop, my camera, pool floats (#priorities), cosmetic bag, chargers, a water bottle in one pocket and phone in the other, little things like headphones and lib balm, etc. There was a pocket for everything, safe storage for my laptop, and it was cute on top of it all. I am obsessed! I am so excited to use this backpack for the coming school year instead of my North Face again. 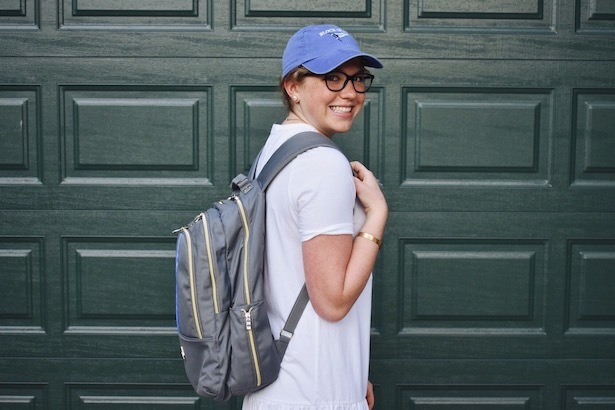 I love that Madeline's backpacks stand out in a crowd, so I won't be just one of 40,000 students at my new, giant, big 10 school this year. Side note: I have been getting a ton of questions about this dress: it's under $30 and you can shop it here! 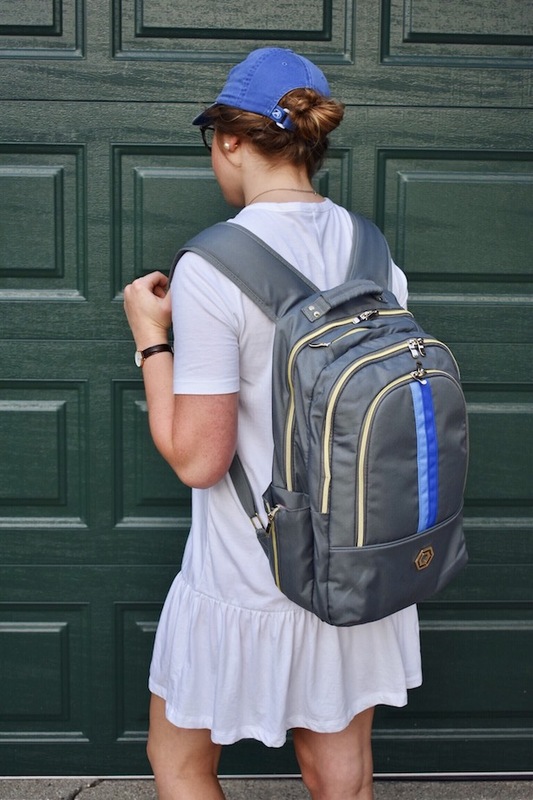 What backpack are you planning to use this school year? 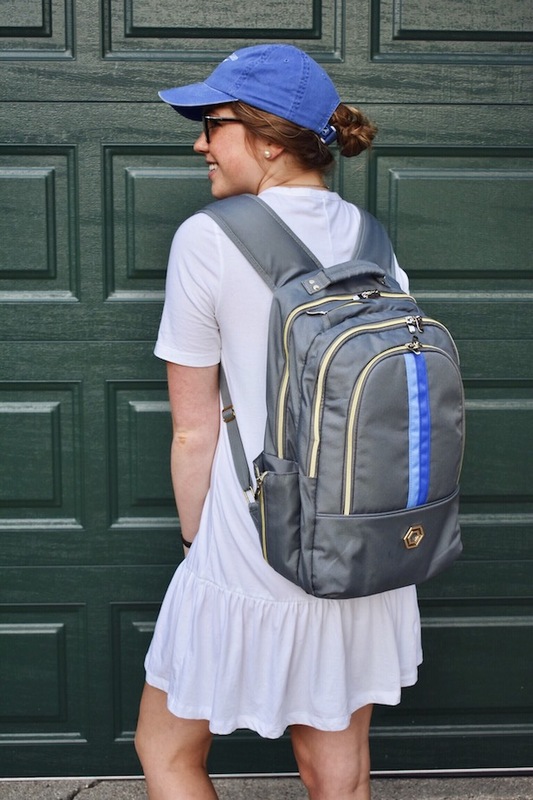 If you decide to order a backpack from Madeline & Company, use FRAN15 at checkout for 15% off your order! Your dress is so cute! I wish it came in more colors.